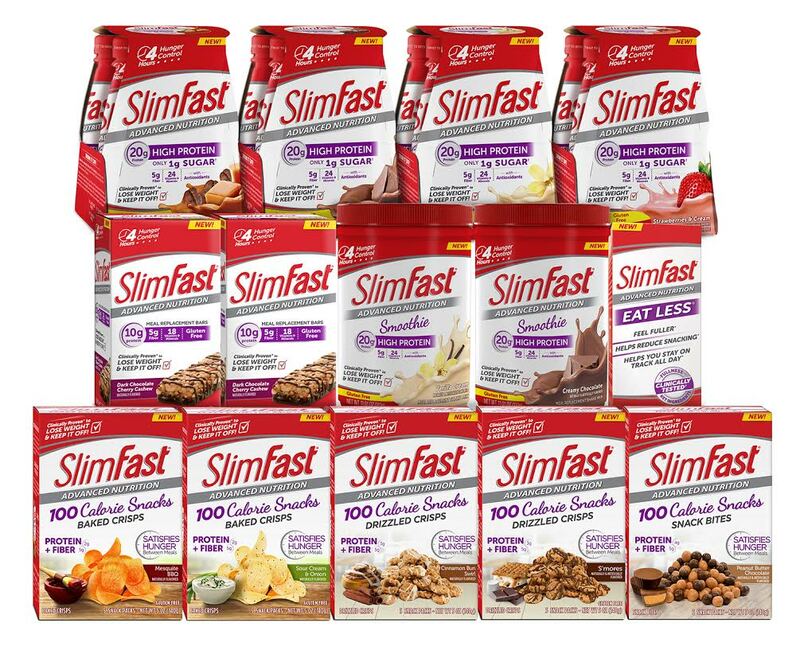 Andrea's World Reviews: Spring Fling - Slim Down with SlimFast Giveaway! Spring is here. Summer will be here before you know it. The weather is warm and getting warmer. The time has come to get outside and to wear shorts and hit the beach and the pool. As much as I love warm weather, I am dreading a lot of the warm weather activities that I used to love so much. My body is not in the shape I would like it to be. While I know that my body will never look the way I truly would like it to, I know it could be a lot better than it is. It has been in the past, and I just lacked the discipline to keep it up. It always seemed so hard. I hate to feel deprived. When I think of diets, I think of being hungry, and eating not-so-yummy foods. I am going to try something new, though. I have know about SlimFast since I was young, but back then it was mostly just shakes in metal cans. I was too young to even diet back then, but somehow that impression stayed with me into adulthood, and I never gave SlimFast a chance, even when I tried countless other diets. SlimFast is so much more than just shakes now. SlimFast has 100 calorie snacks, individually packaged to enjoy anywhere. Lots of mouth-watering varieties like Sour Cream & Onion or Mesquite BBQ Baked Crisps (chips), Cinnamon Bun Swirl or S'Mores Drizzled Crisps, and Peanut Butter Chocolate Snack Bites. SlimFast also has the meal replacement products that they built their name on, but they come in the for of delicious bars like Dark Chocolate Sea Salt, Caramel Almond Sea Salt and Dark Chocolate Cherry Cashew. There is also meal replacement smoothies (that come as a powdered mix.) There are still shakes too. They come in re-closable plastic bottles now. With so many options, and flavors to please every palate, it is easier than ever to stay on plan and get your body back. I have been guilty of wanting someone else's body, as I know many people do. Obviously I cannot be a model, that is not in the cards for me, but I can take back the body I used to have. I can be the best me possible and not only look better but be healthier and feel better. It all starts with a promise to myself to work hard, and it is completed by SlimFast making it a little less hard. If you have been wanting to make a change and seriously pursue better health and a lower weight, I hope you will give SlimFast a try to. You deserve to be the best you possible. 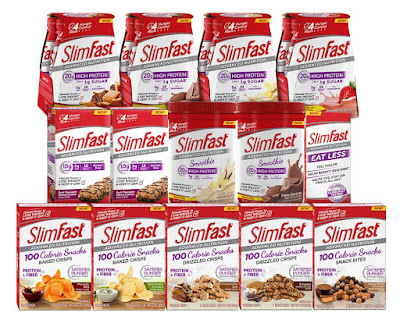 SlimFast has donated one sample pack of snacks and meal replacement bars and shakes to be awarded to one lucky winner. You can enter via the Rafflecopter below for your chance to win this life-changing prize. I used it after I had a baby and I was happy with the results. I'd love to try it again. I tried them many years ago. I'd like to try them again as I am trying to reduce my caloric intake and these make good meal replacements on the run. If you are looking for citations and best high quality materials as well as optimizations, http://www.localseosearch.ca/ you will never are unsuccessful with SEO Toronto because it is constructed from groups with very best groups of knowledge that will make your website the perfect on the list of relaxation on the planet of on the internet internet, which will attain your potential prospects. I tried them many years ago. I'd like to try them again since they have new products! I have not tried slim fast products but I have tried alot of other weight loss products and I wasn't always impressed with the taste or results. I have known a few people who have used slim fast and liked the products and had great results. I have no tired Slim fast products recently. I tried them years ago and they worked to take off the couple of pounds I wanted to lose. I have not tried them before. I want to try them because the snacks look really good. I have never tried SlimFast before, and I could stand to lose a few pounds! Years ago I tried Slimfast. Yes, I've tried SlimFast products before and like them. I'm on slimfast now! I like the protein bars. I have tried them and would love to get back to using them for all the reasons you mentioned.I need to get back on track! I've never tried Slim Fast. I'm working to get healthier this year to keep up with the kids. No I have never tried them, but I would love to because I want to start eating healthier and working out. I might have tried Slimfast before but it's been so long, I'm not sure. I've tried the snack bars and the shakes just for kicks. I'd try them because I like to eat and I like to keep my weight down. I have tried similar products but not actual slimfast before. I'd like to have a healthy on the go snack. I've tried some of the bars and they were good. Haven't tried anything else. I tried Slimfast years ago and maybe it's time to try it again. I've tried everything to lose weight now that I am in my forties and haven't had any luck. I have tried the meal bars in the past when I was too busy with work. I would love to try the sampler pack to see how I like the products and to lose a bit of weight. yes I love the snack bars! I tried them years ago and really enjoyed them. Yes, I have tried them before and I want to win these because I'm trying to lose weight! I love slimfast. It saves me so much time when I'm too busy to eat a normal meal. I've tried some Slim Fast powder shake mixes a long time ago. I'd like to try them again because I'm in a continuing weight loss program (100+ lbs. so far!) and this would be helpful. Yes I like a variety of the flavors of the Slim Fast. Thanks for the consideration. I like the chocolate. Yup. I've done Slim Fast before. I supplement my diet with Slim Fast products- I love the Turbo collection because it has 1g sugar options, which are great for pre diabetics. I tried them recently through Influenster and really enjoyed them, I never thought they were my thing, but I was wrong! I have never tried these products before. I would like to try them to see how they taste. I tried it years ago, I would like to try it again to help me lose 20 pounds. I have not tried it, but would love to. I need to lose a few pounds. I think this would help curb the urge to snack. I have tried the shakes as meal replacements. I liked them. I would like to try some of the bars as well. I have a few pounds to loose. I tried Slim fast years ago. I need to try it again to lose some weight. I did a long time ago but I would love to try them again to get rid of this extra 10 pounds. i put on some serious weight this year due to health issues with my apartment. I just moved and want to get rid of it all now!! I have and want to lose some weight.